This may be one of the worst websites ever. I had a Groupon for The Foundry, and I had heard good things about the burger there. However, when The Marinater and I arrived, we discovered that The Foundry was closed for renovations. This displeased me, but Groupon issued a prompt refund. This enraged The Marinater, who proceeded to beat up a city bus and rip a manhole cover in half. It was like watching Godzilla on PCP, but I digress. 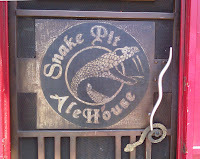 We wandered for a bit and came upon Snake Pit Ale House. As luck would have it, they had a burger on the menu. We found free parking in the neighborhood about a block away. We spoke with the manager for a bit, and settled on a couple of $10 burgers. The shtick at Snake Pit Ale House was that one could load up that $10 burger with all sorts of toppings at no extra charge. I ordered my customary meat, bun, and cheese with a few sauces on the side. Our cheeseburgers arrived in about 15 minutes. The Beef: The beef was 100% Angus, Chuck. It was sourced at Jetro, a cash and carry restaurant wholesaler. 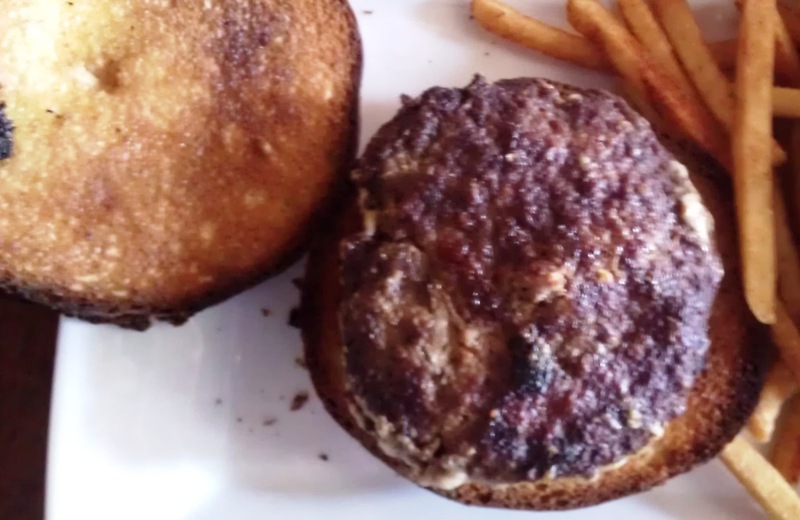 The 6-ounce patty was about 80% lean. It was moderately beefy, and that was it. The burger meat here was perfectly average. The mouth feel of the coarsely ground beef patty was bordering on crumbly. The Seasoning: The seasoning applied to the burger patties at Snake Pit Ale House seemed to be a sort of curry mixture. It was interesting, but not entirely appropriate for a cheeseburger. I would preferred something far more savory. This seasoning was more aromatic, and this didn't really work with the American standard dish. 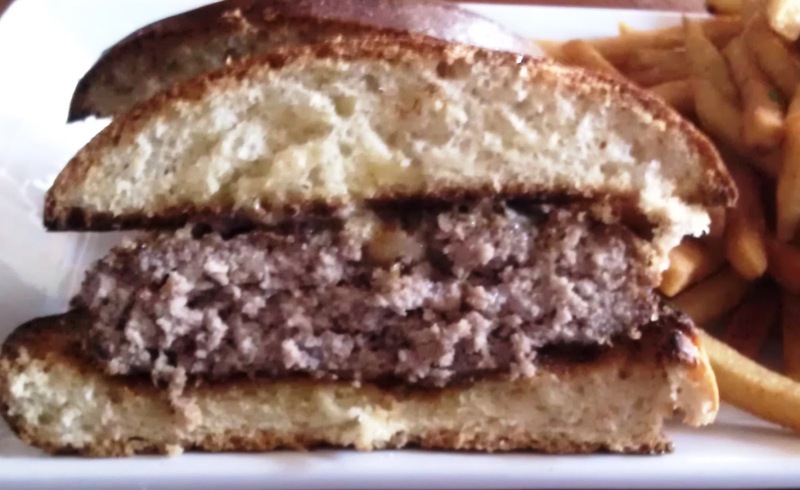 The Sear: The kitchen got a mighty sear on my burger patty. Sadly, without salt and pepper, the dryish beef didn't benefit from this. It only served to make the burger a little drier. The Preparation: The Marinater and I both requested Medium, and we both got Well Done burgers. The thick, irregular patties were formed by hand prior to the lunch shift. The Cheese: Snake Pit Ale House offered a variety of cheese choices. I went with Cheddar. Honestly, I didn't even notice the cheese. The burger and bun were dry to the point where the cheese did not register on my palate. The Bun: Here was where it all went terribly wrong. The brioche was toasted and toasted hard. It was crisp and dark like a thick cracker. After a few bites, it felt as it the roof of my mouth had been sandblasted. I tapped the bun with my knife to show the manager that it made a "thock thock" noise when struck. I asked if this was what they wanted to go with. He was honest and told me that this was how they served their burgers. I applauded that honesty--I did not applaud that dessicated bun. It seemed that the bun was meant to stand up to a heap of wet toppings and sauces. When I dipped my burger in the gravy or the BBQ sauce, the dish made more sense, but that bun was just mean-spirited. The Meat To Bun Ratio: Who knows....all I know is that I had zero chance of catching food poisoning, since everything was cooked within an inch of its life. The Fries: Same deal as the burger bun. The fries at Snake Pit Ale House were cooked until they were nearly burned. They were dark, and they remained crisp even at room temperature. The Value: Meh. I suppose if one were to load up the burger with toppings and firmly instruct the kitchen not to immolate the food, then the value would be fine. As it was, the value was mediocre. 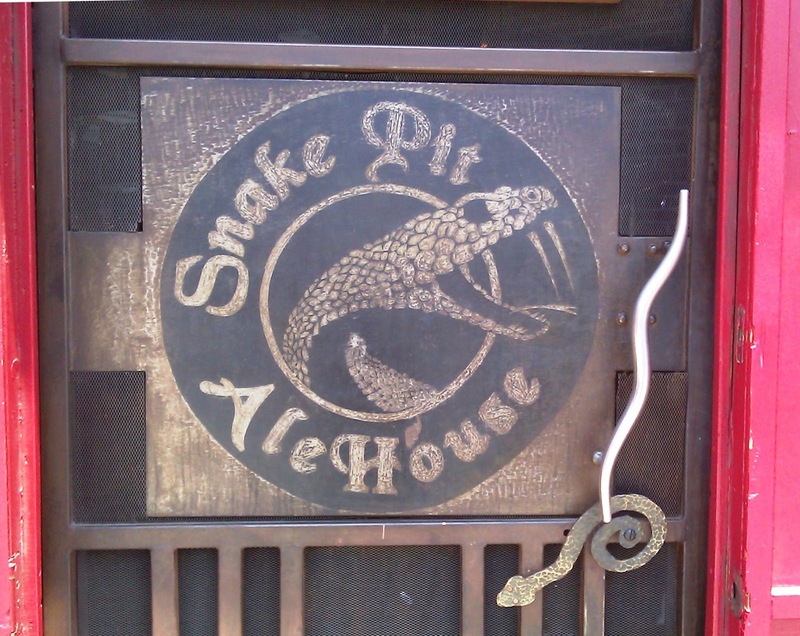 If you go to Snake Pit Ale House, go for the 20+ beers on tap. If you really have to have the burger, then load up on the toppings. Their website looks like an Angelfire page. wow. you're right. that IS one of the worst websites i have ever seen. and the effort they obviously put into that website HAS to reflect on how they run their business- one which holds a lot of weight considering you're putting something in your mouth that relies on how well they run their business.... just curious, how were the bathrooms? I did not venture into the bathroom. In their defense, the staff was very nice, professional, and honest. 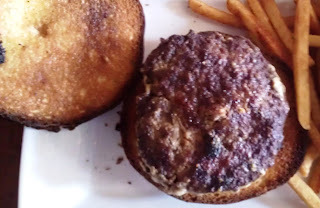 The burger, while consistent, was poorly conceived.